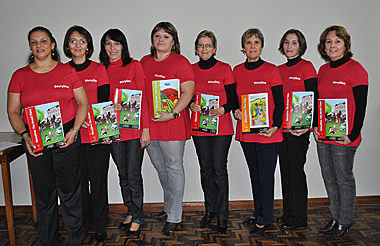 Andressa Felipin We have more news from Storyline Brazil: our third book has been published. 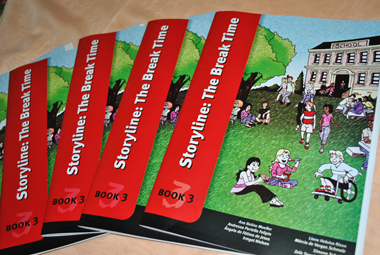 aimed at 7th graders, Storyline The Break Time’s setting is the school yard and break time activities. It’s about fun and about dealing with common problems, such as fighting and bullying. The students’ response to this new book has been very positive, just like the previous Storylines – The Farm (5th graders), and The City (6th graders). 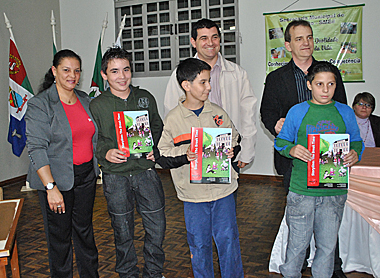 There are pictures of our book, our students receiving their books on the big night, the launching, and also from the group of teachers. Thank you for Storyline.